While we’re still waiting to see what becomes of his long gestating reboot of The Crow, director Corin Hardy makes his feature film debut with The Hallow, a supremely creepy, British horror movie that takes its cue from the abundant folklore of the Emerald Isle. The set-up will be overly familiar to fans of the genre with Londoners Adam (Joseph Mawle) and Claire (Bojana Novakovic), with baby Finn in tow, move to a small, rural Irish town, and immediately incur the ire of the locals. You see, Adam is a conservationist sent to inspect the local forest, which his superstitious neighbours know to be home to all manner of mystical creatures. Of course, the couple don’t heed the warnings and soon find their lives in danger. 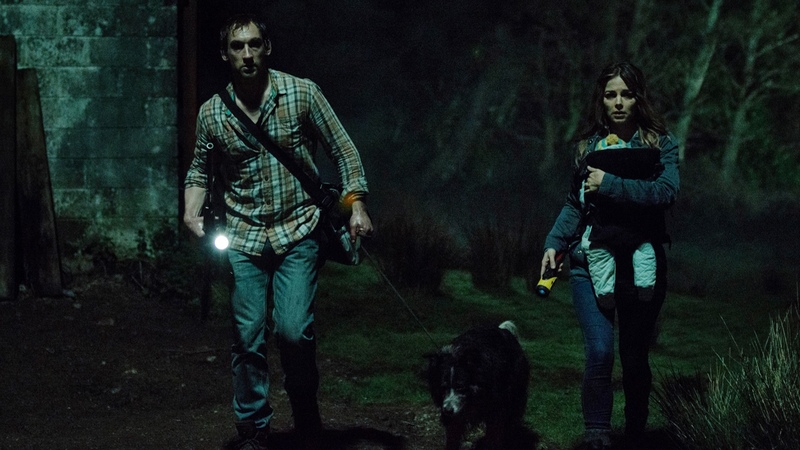 While this may make it sound like a generic, cliched horror movie, The Hallow is anything but. The first act of The Hallow is a real slow burn, as Hardy takes his time with getting all his pieces in place before making any kind of move. The story make take some time to get going, but the atmosphere that is built in the opening act carries it through. Adam and Claire’s run-ins with the locals, especially the menacing Colm Donnelly (Michael McElhatton), whose daughter disappeared in the woods years before, build tension nicely, so much so that at times you feel that no actual monsters are needed, that the locals would do a good enough job. Thankfully, Hardy didn’t think the same way, and about the mid-way point we catch our first glimpse of the creatures, and the movie becomes a totally different animal. From then on, we’re firmly in home under siege territory with the creature’s aggressive attacks and Adam’s deteriorating state of mind elevating it above the usual examples of the genre. Hardy makes great use of his locations, with every dark corner and eerie wood doing a good job of leaving audience feeling ill at ease, making each scare that much sweeter. When Hardy is done making us jump at the slightest noise, The Hallow’s third metamorphosis takes place, and we’re in the realm of body horror, with the skin crawling practical effects upping the creep factor tenfold and leading to an incredibly satisfying ending. The decision to favour practical over CGI (though it is still present to augment the monster’s appearance) helps The Hallow immensely, with the design of the creatures being incredibly unsettling, especially with the fact that they exist within and have a tactile interaction with the environment. If they were fully CG, this would have been completely lost, and they would have become just another fake, impersonal monster the horror genre seems to littered with these days. With all the work that went into the creatures appearance and making them viable threats, their backstory suffers somewhat. The Hallow does have an impressive mythology working in the background, but we’re not given enough to fully flesh out the creatures which hurts them somewhat. But it’s only a minor niggle, and easy to look passed. While on paper, The Hallow may seem like your typical horror movie, Hardy brings an abundance of ideas and different styles to the table that elevates it above the norm, and helps it serve as an impressive debut feature for the director.